For July, Belgibeer offer subscribers the chance to sample one of the jewels of Belgian brewing: Brewery Roman. Based in Ooudenaarde, East Flanders, this brewery can be traced back to 1545, making it the oldest family brewery in the country. Today, it is run by two brothers, Carlo and Lode Roman, and turns out beers that are balanced and enjoyable. 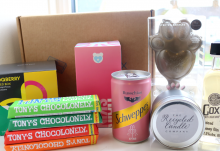 With this lofty introduction, it goes without saying that this month’s box is something very special. 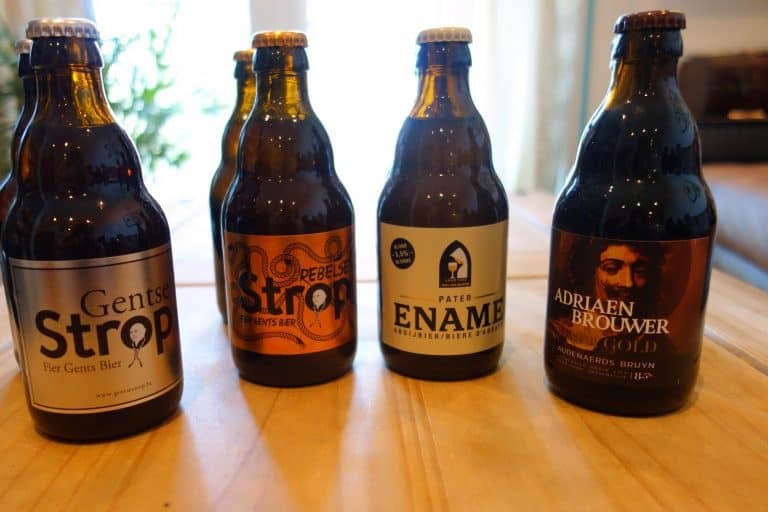 Since the 1980s, Roman Brewery has been shaking up their traditional line-up, introducing a wider assortment of modern styles; before 1949, the brewery specialised in brown beers exclusively. They’ve since balanced their experienced hand at brewing with experimenting to appeal to a modern beer drinker. Now in their 14th generation of being family-owned, just how would the beer stack up to newer operations? Peering into the box, eight stubby 330ml bottles were enclosed, packaged to ensure that they arrived safely. The surprise comes each month upon pulling bottles out, observing what styles are included, and then consulting the Golden Hops magazine to read about the brewery’s background and history. 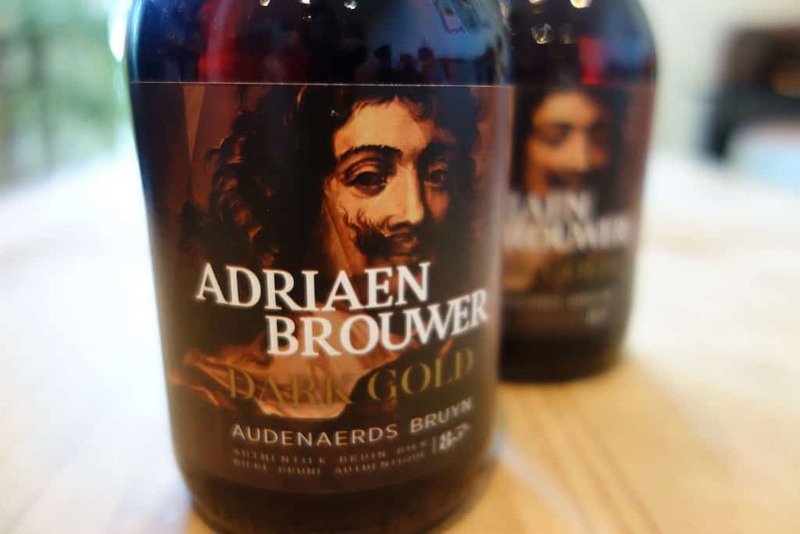 The first beer, Adriaen Brouwer Dark Gold, is a brown beer is the oldest beer from Roman Brewery’s catalogue and exhibits the solid characteristics that you’d expect with this style. Pouring a rich mahogany topped with a tan foam head, it’s an attractive beer. The aromas that leap from the glass include big caramel notes and some stone fruit. On the palate, the beer is highly drinkable (even at 8.5%), with hints of caramel and espresso, followed with only a faint bitterness. All in all, this is a solid example of a brown beer. 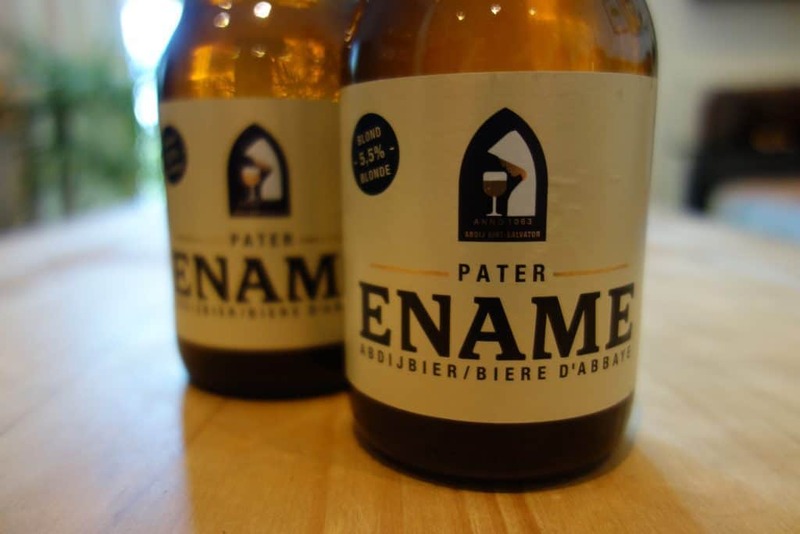 Keeping with the theme of classic styles, the next beer is the Ename Pater, an abbey beer that decants a glorious golden hue. The head is thick and creamy, making it very appealing to the eye. On the nose, there’s a range of citrus with some bitter hops. To taste, there’s some pleasant fruit and herbs, balanced with some acidity. It’s another rounded beer that is refreshing and goes down easily. 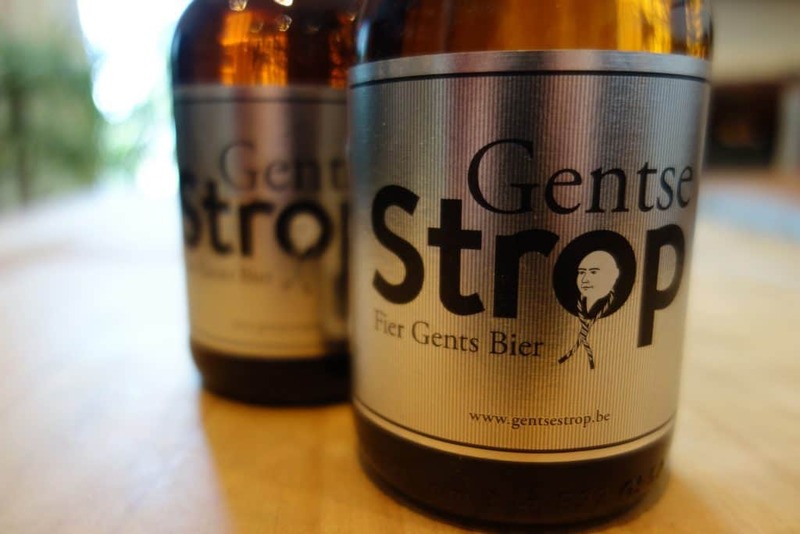 Next is the Gentse Strop, a Belgian Blond with delicious aromas of banana and honey that make it very alluring. A clean golden beer with a nice foamy head, this is a refreshing and drinkable beer that is both sweet and balanced, with a bitter finish. While this is a fantastic standalone beer, the Belgibeer team have recommended pairing it with asparagus, fish or roast veal. 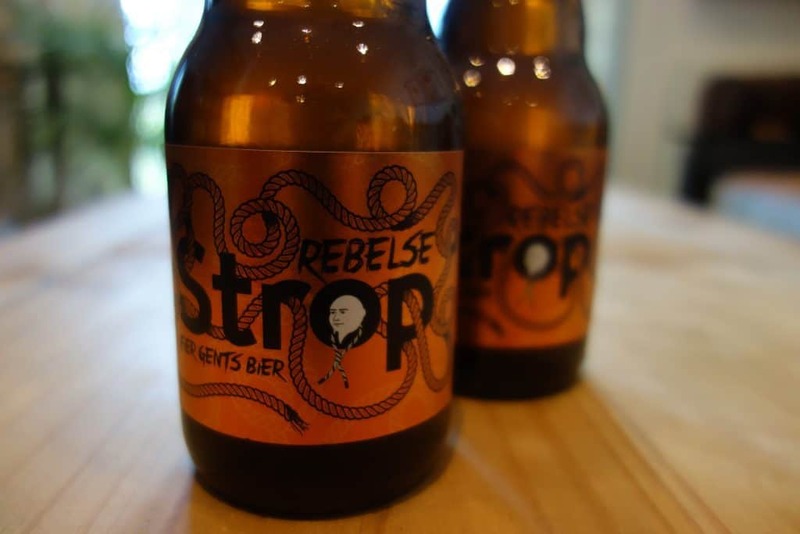 The last beer, Rebelse Strop, is another Belgian Blond, which is a more contemporary iteration of the Gentse Strop. This beer benefits from a dry hopping and Brettanomyces, which is wild yeast. It pours a deeper, copper gold and has bready malt with some fruity aromas. On the palate, the beer is fresh tasting, with fruity notes and bitterness given from the ample hopping and a hint of sourness from the wild yeast. Belgibeer can be subscribed to or gifted. The monthly boxes usually include two bottles of four beers (eight in total). 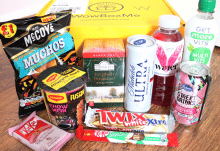 Subscriptions can be purchased for £24 per month or £288 for an annual subscription (but three months free boxes are thrown in). 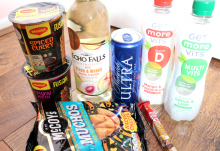 Shipping is not included, but DPD options are available and include pick-up (£2.00) or home delivery (£4.90). 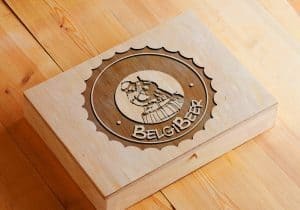 Other additional Belgian produce or brewery glasses can be added to your order as well- it’s traditional for each Belgian brewery to have its own glass. A wonderful way to discover Belgian beer where subscribers get to learn about, appreciate and - most importantly - drink beer!